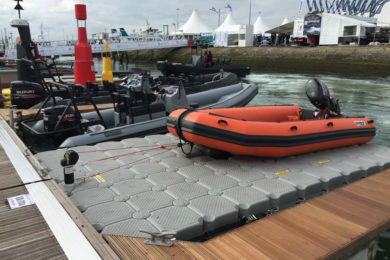 VersaDock, one of the world’s leading manufacturers of floating docks and pontoons, will be showing the new Static Drive on Dock for the first time at any leisure show when it appears at Southampton. 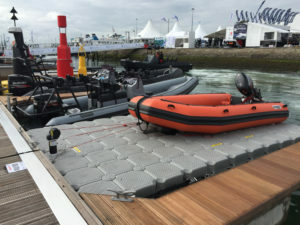 The Drive on Dock will be demonstrating its capabilities by supporting the latest Gemini RIB, the new Gemini 650 Elite, on Berth M160 which is also enjoying its UK debut at the show. The VersaDock Static Drive on Dock is the ONLY dock of its kind guaranteed to float vessels of up to three tonnes clear of the water because it is designed and installed by VersaDock. Drive a motorboat, RIB or PWC straight out of the water in seconds onto the stable dry platform of VersaDock’s advanced modular system, guided by the VersaDock patented V-float cradle. The Static Drive on Dock can be easily installed in any space that a boat would be moored in the water, such as pontoon berths, clubs, and waterside properties. The Gemini 650, already a bestselling RIB, is an ideal example of the type of vessel that VersaDock’s range of docks, which also include the Air-Assist dock for larger, heavier vessels and the DrySail dock for lifting keel sportsboats, would support. VersaDock will be demonstrating how a wide range of vessels can be kept dry on their own dock, free of the water for easy access and lower maintenance. 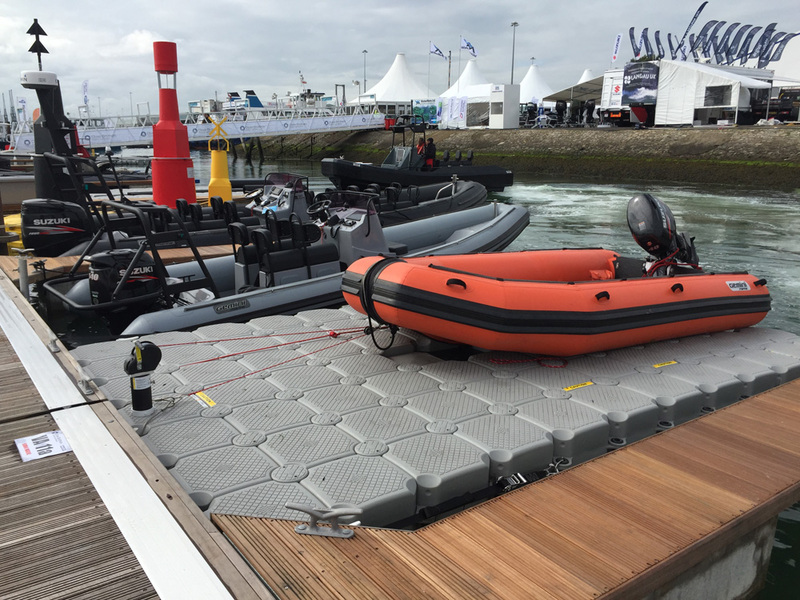 The company will be exhibiting information about the full range of docks and pontoons on Stand FO33 in the RIB area of the show. There is a configuration and a solution available for every type of sports boat, RIB, day cruiser, and other leisure and commercial craft from military to workboats from VersaDock.